I’ve actually *gasp* never made krispie treats from scratch! Though I’ve been meaning to attempt Deb’s version. 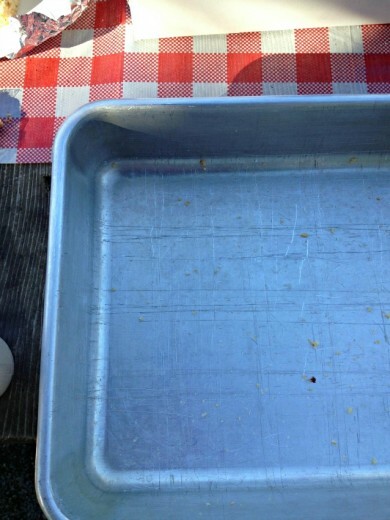 That browned butter sounds too good to pass up. Also, I wasn’t sure if vegan marshmallows would melt the same way as regular but I’m sure glad to hear they will! Made them tonight for a BBQ. Huge hit…..with the adults! (The brownies and rootbeer didn’t even compare). Wow, talk about treat yourself – these look amazing. “Never makes enough” indeed. 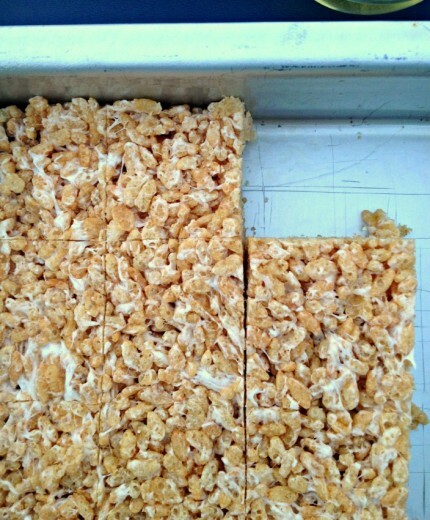 I just made these after more than a decade since my last rice crispies treat. They were ruined for me when the awful prepackaged ones came out. These are nothing but trouble! Crispy delicious trouble! I just discovered your blog and I am delighted! This crispies looks fantastic. Thank you for this wonderful recipe!! !